There always seems to be a protest on campus nowadays. From protesting legislation to raising awareness to various issues, its almost like there is a new one every month. Last year there were nine protests fitting those criteria, and this year we are already at four. 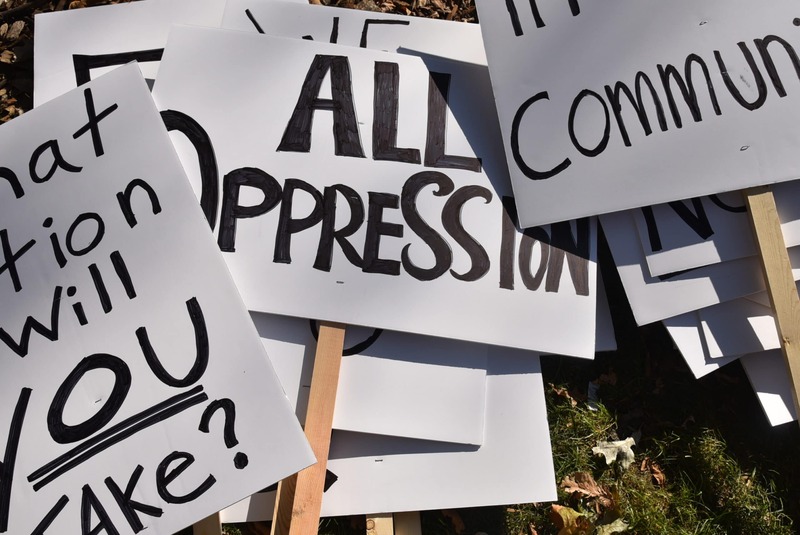 We had the protest to CIA Director Gina Haspel‘s appearance on campus Sept. 24, Cynthia Wood’s sexual assault prevention training protest on Oct. 17, the trans visibility rally on Oct. 30 and a rally supporting the caravan from Honduras Nov. 7. Political sciences professor Dewey Clayton said there has been an increase in advocacy movements across college campuses lately. “I think it is a positive influence up to a certain point,” Clayton said. With that thought in mind, he said that everyone is welcome to speak, political affiliations aside. “White supremacists and other members of the alt-right are heavily attempting to recruit college students. They are going to college campuses, distributing literature, and giving speeches,” he said. With all of these influences converging on college campuses nationwide, Clayton said he hopes both recent and seasoned students will keep an open mind. “College should be a place where students experience new ideas and are exposed to different viewpoints and ways of seeing the world. It is a time for them to broaden their horizons and open their minds,” he said.